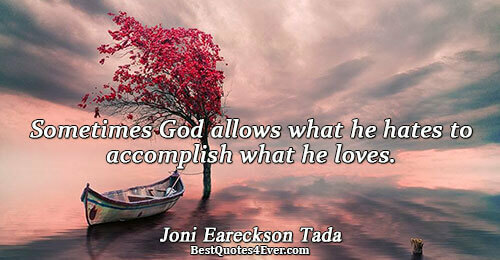 Sometimes God allows what he hates to accomplish what he loves. ...we will stand amazed to see the topside of the tapestry and how God beautifully embroidered each circumstance into a pattern for our good and His glory. There is this fine line between presenting to You all of my weakness and thinking that it can't be done. In Your strength, I find my own. There is nothing that moves a loving father's soul quite like his child's cry.